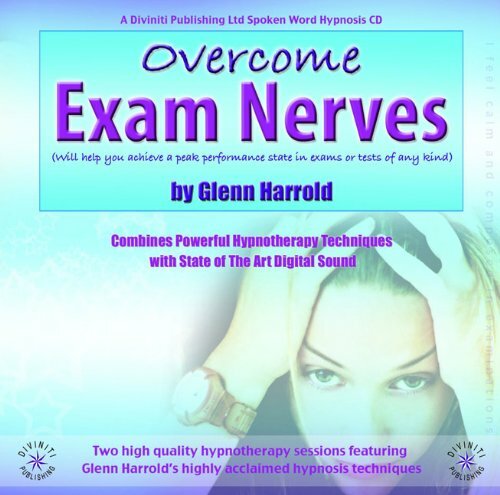 0.1 Does Hypnosis for Court Reporters Work? 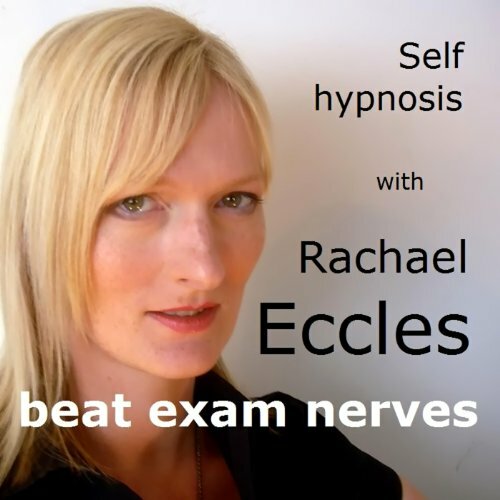 1 Can Hypnosis Help Test Anxiety? 1.2 Should I try Hypnosis? 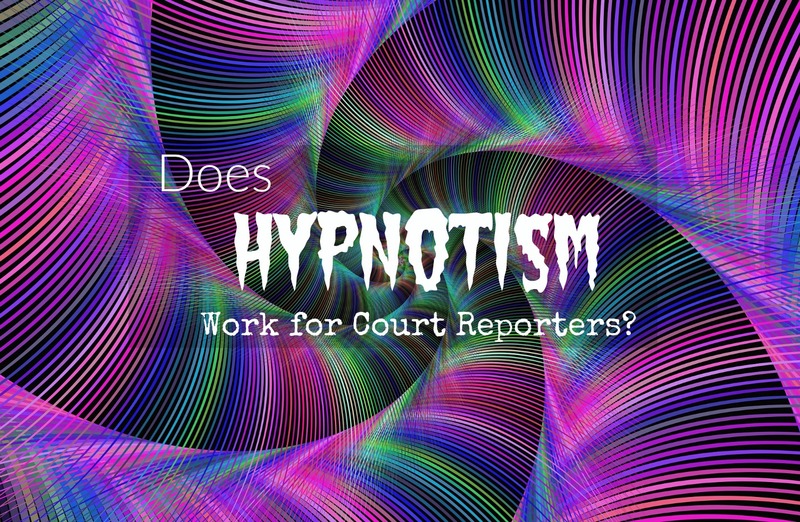 Does Hypnosis for Court Reporters Work? 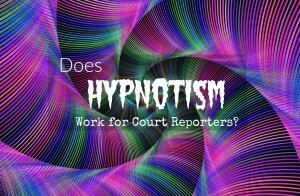 Hypnosis for court reporters is an iffy subject for some. I’ve talked to some reporters who swear by it, and others who think it works because it’s all in somebody’s head. I’ve been on both sides of the fence. When I was in the latter speed classes in court reporting school, some of my fellow students pooled together enough money to hire a hypnotist to help them break through their plateau. Some of them wanted to write faster, others wanted to get rid of test anxiety. Honestly, I thought it was a lot of bunk and they were throwing their money away. I said, no, thanks, it’s not for me and decided to pass my tests the old fashioned way. Of course, they were one of the first ones to test out and I was still stuck, so what did I know? 10 years after school, I downloaded my first hypnosis MP3. LOL! When I was prepping to take the RPR, the subject of hypnosis came up again. A friend of mine decided to take the test with me. On test day she was sitting next to me visibly shaking. So bad she could hardly keep her hands on the machine. I was like, “what the heck? How did you ever get out of school if you were like this taking tests?” She told me she had to use hypnosis to keep her nerves calm so she could pass her tests. Get nervous on speed tests? I didn’t really think much more about hypnotism for writing speed or anxiety until I was trying to transition from court reporting to captioning. For some reason, I had a hard time focusing and concentrating on television material. I guess I had so much information flying at me so quickly, that I couldn’t process it fast enough. Even trying the old “find a spot on the floor and stare at it” trick didn’t work. I couldn’t keep up, and I was distracted easily, causing me to drop. A lot. I remembered my classmates in court reporting school, and how once they tried hypnosis they started to pass speed tests left and right. It’s then that I started to toy with the idea of hypnosis to help me focus my concentration. I wasn’t sure how to go about being hypnotized. I didn’t feel comfortable going to a hypnotist in an office setting, so I started looking for non-scam self-hypnosis programs for concentration. I looked around on the internet, and, honestly, some of the websites looks fakey with absurd claims. I wanted something that would help me concentrate, not give me some new age awakening. Looking at some of those sites, I really wondered whether hypnotism could help me at all. But I knew I was doing all I could do. I was practicing everyday, without fail, and was just spinning my wheels. So surely it couldn’t hurt. I downloaded several MP3’s and took them for a test spin. I liked to listen to them in bed at night before I went to sleep. It was dark and quiet, and allowed me to focus. No lie, these things are very relaxing. At first I thought that’s all they were doing. But after a few days I started to notice my concentration was better and my mind wasn’t wandering as much. I really took the time to look into choosing a reputable company with real hypnotherapists. I didn’t want scam, I wanted results. There was really only one company I decided to go with. Hypnosis Downloads: First impressions mean a lot to me. I’d seen some hypnosis sites that looked downright stupid with new age-y type stuff like eyes and pyramids. The Hypnosis Downloads site on the other hand looked very professional, and the downloads they offered seemed like they were a fit for what I needed. I’d never had anything to do with hypnotism, and I wasn’t really sure what and how to choose. They were quick to answer all of the questions I had. Hypnosis Downloads have a course called Improving Concentration and Focus. It says it helps that keeps you from getting distracted, at first I didn’t really need that. But looking further, I found out it also addresses concentration, avoiding negative and irrelevant thoughts, and knowing that you’re giving your very best. Three things I really needed at that point in my career. When I contacted them about the concentration course and told them I was a court reporter, they also suggested Improving Typing Speed. Now, I’m not sure how well it would translate to writing on a steno machine. But it does say in the course description, that “it trains the hands to do the “thinking for you”, which is what basically what you need in this line of work. All of their courses are very reasonably priced, and are easily downloaded to your smartphone or tablet. If you’ve hit a wall and desperate for some kind of improvement, I say go for it. Can Hypnosis Help Test Anxiety? I was lucky that test anxiety wasn’t a debilitating problem for me. I’d get nervous, but it was the good kind. It never kept me from passing. Many of my classmates had it. Even when I went for my RPR and CRR, there were people there that completely freaked out. I told you about my friend and how bad her nerves were. She was one of the top reporters in my firm. She’d actually ask for the hard med mals and the witnesses nobody wanted. She was an ace at reporting, so I was shocked when she flipped out at the RPR test. She was so nervous, she was making my whole chair shake when she leaned over to help me with something before we started. If hypnotism could help her, I’m pretty sure it could help most anybody. 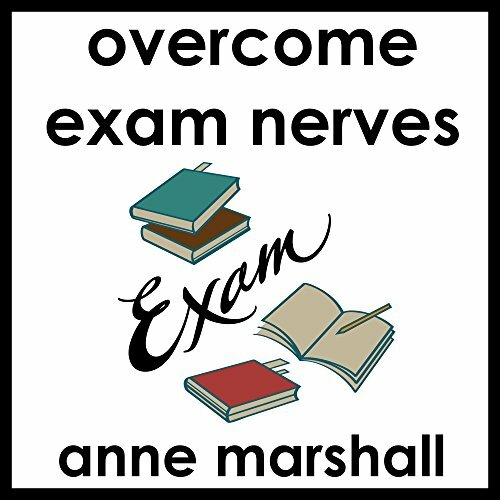 There’s also a lot of downloadable MP3’s and CD’s that are available from Amazon, too, that’s targeted to help beat exam nerves. Before I tried hypnosis, I would have said it’s all phony, and there’s no way I would have actually paid good money to do it. But desperate times, call for desperate measures I guess. I feel like it was worth the money I paid for it, and it really helped me a lot. Hypnosis wasn’t what I thought it would be. I had in my mind it was like something out of the movies where someone tries to control your mind. Self-hypnosis is more teaching you how to control your brain and use it to help you. Whether it’s for you is something only you can decide. I know it’s worked for me, and it’s worked for a lot of reporters I know. I think it’s important to keep an open mind, and if you find you’re stuck or having test anxiety, you should definitely try it. What do you have to lose? Excellent post. I will pin it for others to find. Definitely try media files before paying for a hypnotherapist! Thanks for your comment.